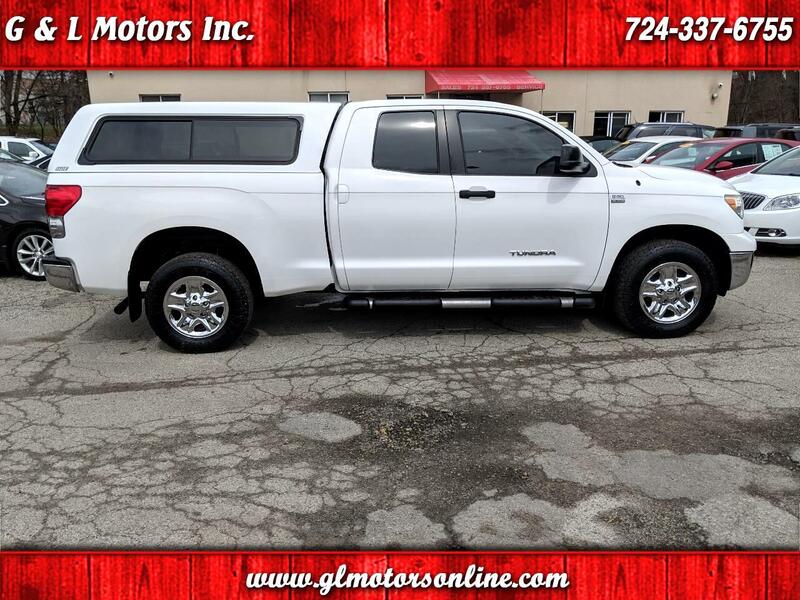 Used 2008 Toyota Tundra 4WD Truck Dbl 4.7L V8 5-Spd AT SR5 (Natl) for Sale in Pittsburgh New Kensington PA 15068 G & L Motors Inc.
(26) Photos Apply Online Text Us About This Vehicle! 2008 Toyota Tundra Double Cab SR5 4x4 with 4.7L V8, **Remote Start**, 18'' chrome clad wheels, Toyota running boards, Toyota bedliner, matching ARE fiberglass cap, tow package, **Dual Climate Control**, Kenwood Audio, cruise control, Aux and USB ports, traction control and outstanding condition inside and out!! !